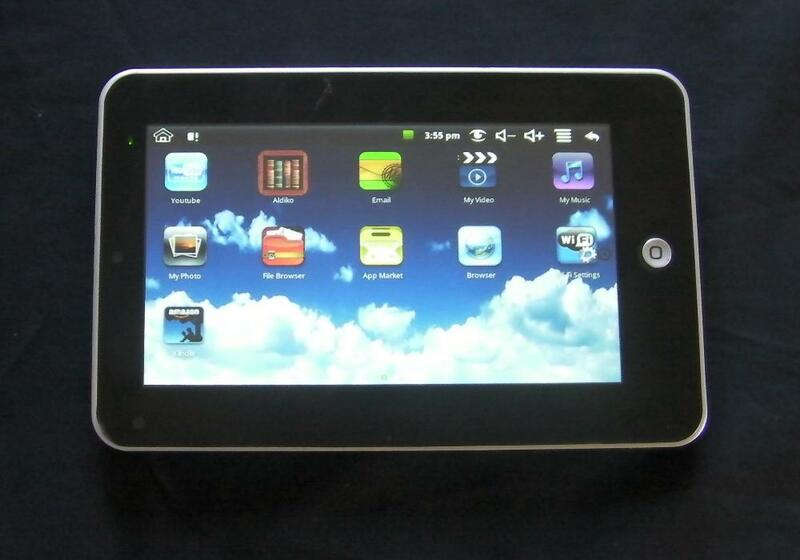 So my Maylong tablet finally arrived a few days ago from Wlagreen's, and it's as bad as I expected. This is going to be a short review because I honestly can't find a reason anyone should buy it. It's underpowered, slow, ugly, and poorly programmed. It feels like they took a $200 tablet and replaced all the decent components with cheap crap. For a while there I was tempted to pitch it as "My First Tablet" so you could give it to a 7 year old; then I realized that even though kids annoy me I don't hate them _that_ much. 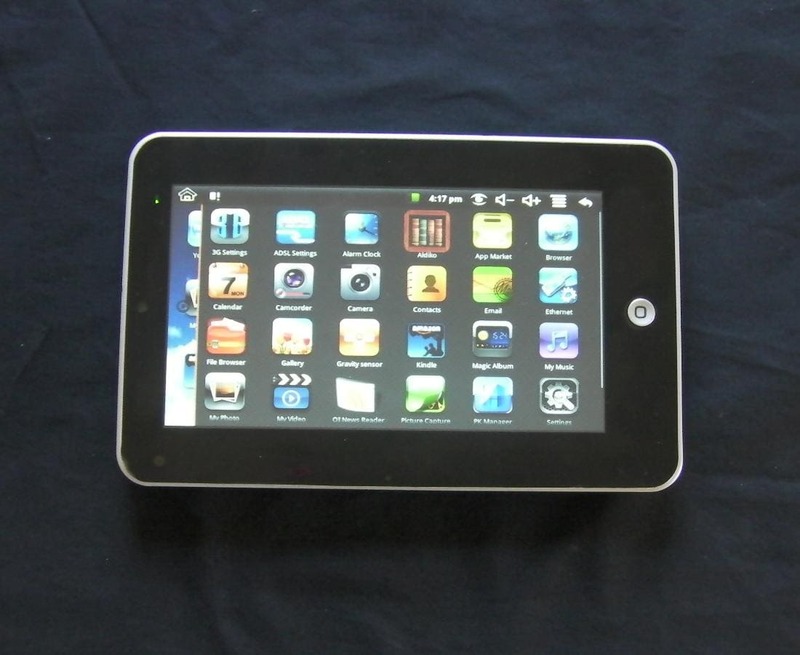 This tablet is based on a 7" LCD resistive touch screen. The screen quality is okay. The CPU is 300MHz, and yes you will notice how slow it is. It has Wifi and Bluetooth (I can't get the bluetooth to connect, and the Wifi is slow). 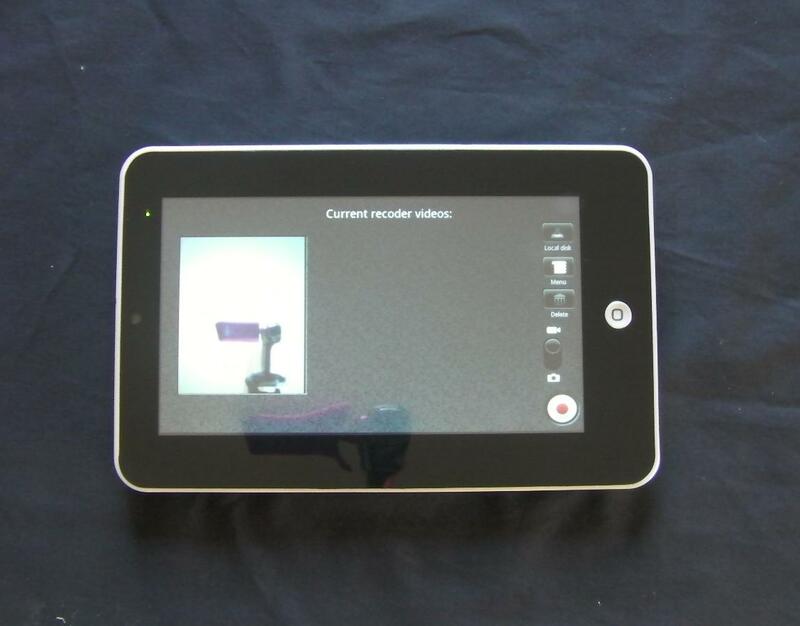 There's even a microphone and a camera which shoots photos at 480x320 and video at about 320x240 (15 fps). I'm not exaggerating; that's really the image quality. It ships with a stylus, which is good, but there's no slot to store the stylus, which is not so good. It has 2GB Flash and a microSD card slot, but its only USB ports is on a dongle, which will probably be easy to lose. It also lacks a USB client, so you can't plug it in to your computer to transfer files. This is a serious shortcoming; I hadn't even thought to check for USB client. I'd assumed it was there. For more hardware details, check out the FCC paperwork or my initial post. It ships with the usual apps (calendar, email, browser, contacts , Youtube, etc), and it also has apps to manage the 3G, DSL, and ethernet connections.I'm glad for the ethernet app but I don't understand why it has the other 2. The hardware isn't present. It doesn't have the official Marketplace, but it does have an app store and whoever is running it keeps it stocked with at least some apps they're not supposed to have. 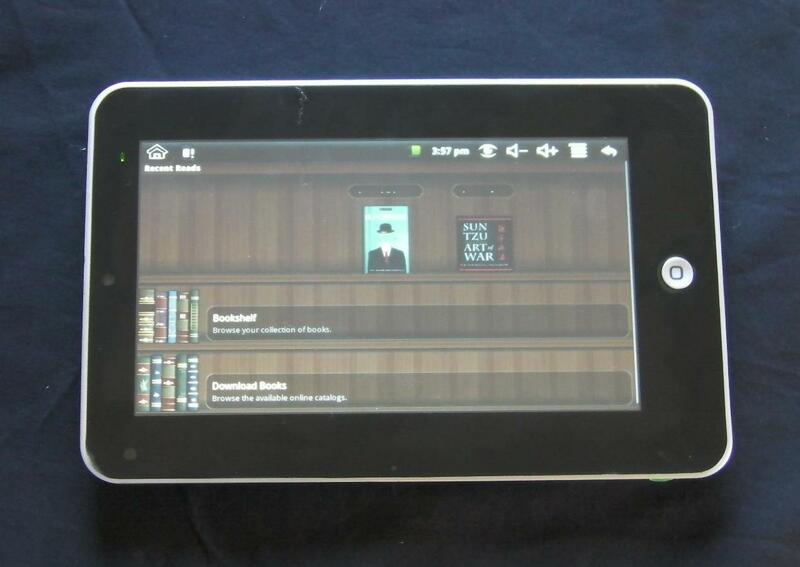 For example, they have the Kindle app (the M-150 also ships with Aldiko). But the app store doesn't have other basics such as Kobo, B&N, etc. It's having a lot of trouble finding and staying connected with my Wifi network, and download speeds are abysmal. I don't think this tablet has 802.11b; I think it has 802.11a. Also, the browser chokes on basic CGI pages (like the permission page on an open hotspot). This tablet can't stream Youtube without having to pause, and to make matters worse it was the only device using the internet connection at the time. Yes, it does have a video app, but I didn't even try. It struggled with Aldiko; I didn't want to waste my time watching ti fail to play a video. Did I mention it was slow? Well, it's just barely adequate as an ereader, but I have trouble running anything else. If I close an app and then try to re-open it, most of the time the app freezes and I have to force close. I'm also beginning to get pissed at how it keeps going to sleep in the middle of an activity (it kills the Wifi). I've checked, and I can't see a way to change the sleep settings. Hahahaha. Why did you even buy it? Suckah! This way to the Egress. Seriously, just because you have a blog does NOT mean people expect you to waste your money on crap like this. The price alone says it all. I got it becuase I knew I could return it. Ah! Does Aldiko even work on it? Well, My opinion differs greatly from this person’s, ’nuff said. I found this to be a good to better alternative to a netbook, and a better to best alternative to a tablet running Win7. Say what U will, Android just works, and works well, right out of the box. NO issues with viruses, NO issues with WiFi, and best of all 100,000 apps, just waiting to be loaded and used. I have 6 different rooted rom builds for the M-150. As I own the M150A12. I can give you a better experience with it plus Market, Maps, Gmail work on it. Still Maylong suppose to release M250 Android OS 2.2 no offical word but they told one of my members March 2011 will be the release. Just have to wait and see what they release. The youtube app alone makes this device worth the $99 I paid for it. My kids love watching children’s videos on it.